Today we commemorate those who have lost their lives to AIDS, a disease that knows no geographic or demographic boundaries. AIDS impacts every community around the globe in some way or another, and we remain optimistic that life-saving drugs are getting to those who need them, even in the most remote corners of the world. The LGBT community has been in the forefront fighting for visibility, treatment, and equity in research dollars since AIDS was first reported in the 1980s. We fostered a global effort that continues today. We have every expectation that one day we will eradicate this disease. We mustn’t stop talking about AIDS. 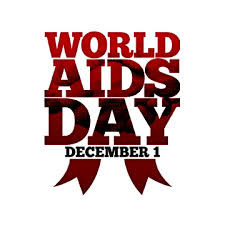 We mustn’t turn away our focus, nor slow down our efforts to end AIDS and comfort those living with it. Our success will be tied to the strength of our vigilance. That’s our challenge.